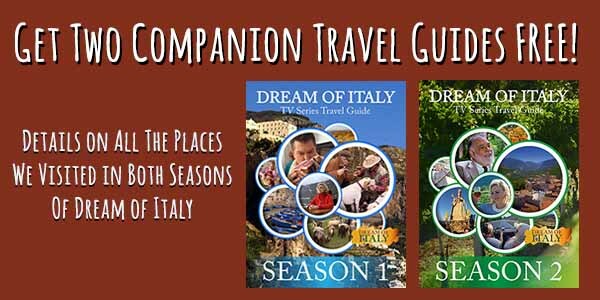 This article originally appeared in the December 2017/January 2018 issue of Dream of Italy. Every available space in Gabriella Becchina’s house and yard is filled with pet supplies – crates, food, toys, and medicine – for the 30 animals she fosters at her animal rescue, Animalsicilia, and for her two pets. 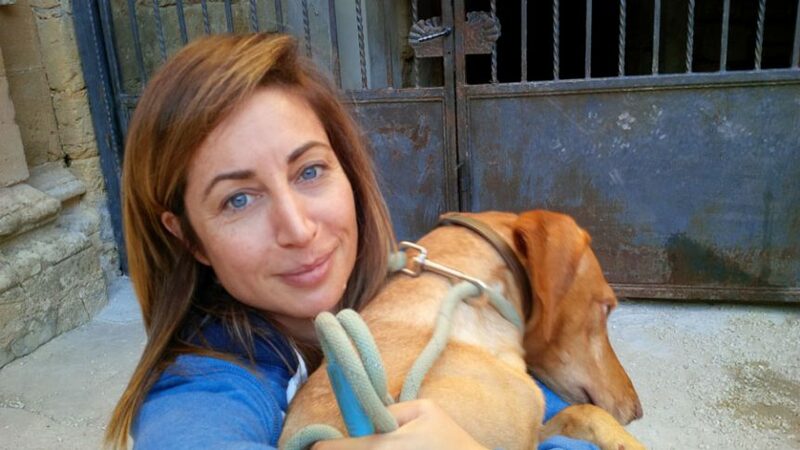 When she moved to Castelvetrano on the island of Sicily in 2003, Swiss native Gabriella Becchina didn’t intend to run an animal rescue by herself from her family-owned palazzo. Nearly fifteen years later, she has rescued more than 100 dogs and cats and has become a pillar of the local animal rights community – an oddity in a place where animal welfare isn’t a priority. It all started when she found an abandoned 1-month-old dog, a Scandinavian sheepherder-Canaan mix that she adopted and named Pupa, at the gate of her family’s olive farm in May 2004. At the time, her father, a Sicilian native, had retired in Sicily and opened an olive farm in the town. 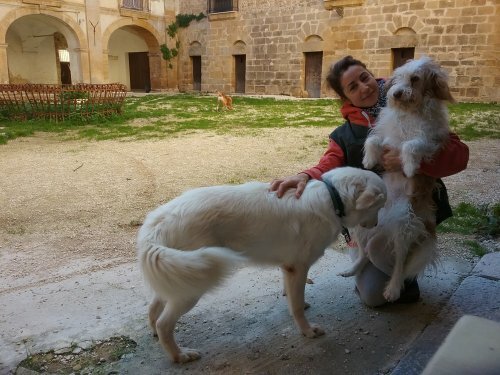 Seeing potential for growth, Becchina moved to Castelvetrano to help her parents operate it – and unexpectedly discovered a passion for rescuing animals that she didn’t know she had. Soon after, she started taking in more strays, and formed Animalsicilia in 2004. Now, she devotes at least six hours a day to caring for the animals on top of her full-time job in the tourism industry. Becchina describes her rescue as “part foster home, part makeshift shelter, part sanctuary.” Until four years ago, Animalsicilia was completely self-funded – a cost of €15,000 annually – but Becchina has since begun raising small amounts of money to subsidize the cost of vet bills, medication, food, and special health needs. Animalsicilia is just one of five nonprofits that Becchina runs, under her umbrella company Nicely Sicily. Each nonprofit focuses on a different issue, with “the idea being that progress in every area has an influence on the progress made in another,” she says. Besides Animalsicilia, Corallo Bianco focuses on mental health, GrandOliva is dedicated to olive oil production, Movimento in Piedi raises civic awareness, and Bellumvider Cultural Society focuses on art and culture. Also under this umbrella is Key to Sicily (39-388-9879332; www.keytosicily.org), a comprehensive travel service that provides concierge services, event planning, itinerary planning, and tours. 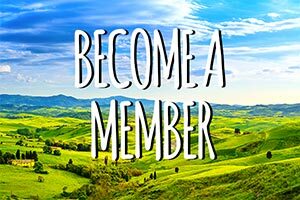 Guests can receive advice on anything Sicily-related, from activities and tickets to restaurant recommendations and someone to call for help if they get a flat tire while driving on a rural road. 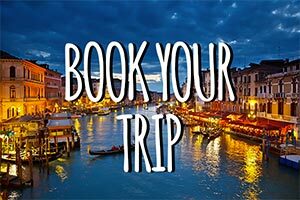 Key to Sicily plans all types of events such as weddings, dinners, and birthday parties, as well as tours and activities such as truffle hunting, pasta making, or traditional soft basket weaving. Clients of Key to Sicily can also hire babysitters, drivers, or translators for the day. The company plans itineraries for all travelers: families, LGBT travelers, those with disabilities or severe food allergies, eco-conscious travelers, and those who want to learn about genealogy. Italy has been a unified country for more than 150 years, but in the case of some cultural issues, it is still divided. Northern Italy, Becchina explains, has adopted Western attitudes toward animal welfare, while southern Italy and Sicily have not. Perhaps this is because of Sicily’s Mafioso culture, or because its geographic location between developed western Europe and less-developed North Africa also puts the island at a cultural crossroads as it holds strong to its traditions and resists sociopolitical change. As a result, there is little societal pressure on police to enforce animal cruelty laws – the culture simply doesn’t demand it. 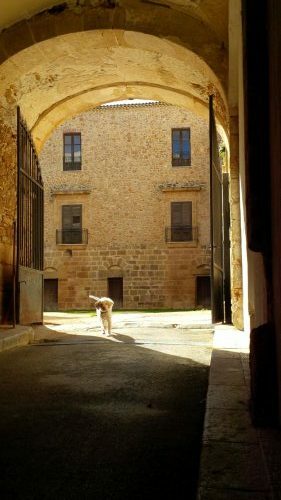 To most Italians, pets are not seen as part of the family or let inside the house, but rather as guard dogs, or as farm animals that help with hunting or are left to wander around vineyards and streets. Hunters often poison stray dogs in the countryside with bait because they view the dogs as competitive predators. “Dogs are still considered by many to be toys, disposable objects, or if roaming free a nuisance,” says Becchina. Owners often abandon their pets when they get sick, have unwanted litters, move away, go on their annual August vacations, or tire of taking care of them. It’s illegal to relinquish pets at a shelter, so dogs and cats get dumped on the street. LAV, an animal rights organization in Italy, estimates there are a total of 600,000 strays on the streets in Italy and 160,000 in shelters, but Becchina believes that figure is a gross underestimation – with 1 million on the streets and 600,000 in shelters in reality. She estimates Castelvetrano alone, a town of approximately 31,000 people, is home to some 1,400 strays. The tight-knit rescue community in Castelvetrano tries to sterilize and rehome as many of them as possible. There is little population control, as neutering pets is widely unpopular, even when owners have the money and access to a veterinarian, because people of all generations see it as going against nature. “People will admit they have too many cats, but will still decline to have them sterilized even if they have the resources and access,” says Becchina. In 1991, Italy became the first country in the world to legally affirm the right of stray dogs and cats to life and protection. With this legal protection came strict laws banning animal cruelty and calling for the establishment of animal shelters nationwide. Each town is required to have its own publicly funded animal shelter and to take in strays, provide for their medical care, and rehome them or catch and neuter them before releasing them. Unlike in the U.S., it is illegal for shelters to euthanize healthy animals. Veterinarians are also required to abide by a code of conduct that includes ethical practices and standards for equipment. These same laws state that anyone who owns more than five pets (defined as dogs and cats) must become an official shelter. There is no provision for people like Becchina who run rescues, which only exist as informal, unrecognized organizations. Still, this doesn’t stop city police from calling unofficial rescuers like Becchina and asking them to take in strays where public shelters don’t exist. However, none of these laws are well-enforced in southern Italy. Shelter facilities are limited, as not every town fulfills its duty, and rescues are only run by private citizens. There is no equivalent to American ASPCA or humane society organizations. Shelters fall into three categories: city-run, privately owned, or a combination of the two run by the city in conjunction with a nonprofit. Corruption in management of the shelters is rampant: Public officials pocket donation money meant for the shelter and put it toward their political campaigns, and politicians aren’t inspired to solve animal welfare issues because as long as strays keep coming in, the shelter can stay open and make a profit. Most shelters in all three categories are overcrowded, facilities and care are inadequate, and the number of shelters is far too few to accommodate all of the strays. Further, most nonprofits set up to care for animals are fake, with the organizations’ staff not caring for animals and embezzling money for their own personal benefit. Castelvetrano’s first public animal shelter opened in 2006, but was mismanaged and closed after six years and did not reopen until 2014. When the shelter closed, its animals had nowhere to go, so the tight-knit rescue community took them in. People who ran private shelters and informal rescues adapted their spaces with enclosures, and are still fostering some of the dogs left over from the crisis. Given the problems with money laundering in nonprofits, Becchina strives to be transparent in her expenses. When tourists learn about Animalsicilia and want to help with vet expenses, Becchina doesn’t accept the money herself, but instead directs people to donate at the vet clinic. On Oct. 31, 2016, Keith and Sherise Sullivan of Ireland were on their honeymoon in Sicily when they came across a starving puppy in a rural vineyard. The 2- to 3-month-old dog, a white, female Sicilian hunting breed mix, jumped out of a hedge to greet them. The couple asked locals what to do with the puppy, but no one had any advice, so they found Animalsicilia on Facebook and sent a message to Becchina. 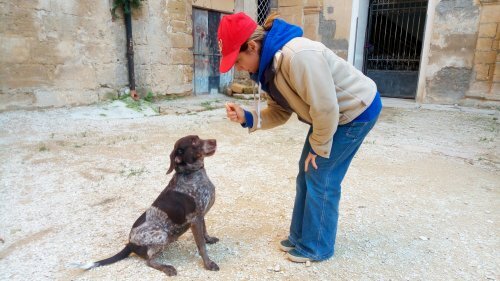 Because there were no animal facilities in the area, Becchina and fellow animal rescuer Katiuscia Filangeri decided to first have the Sullivans drive the dog to Palermo, the Sicilian capital, and then figure out where to place her. On the four-hour drive to Palermo, Keith and Sherise decided to adopt the puppy and pay for her expenses. 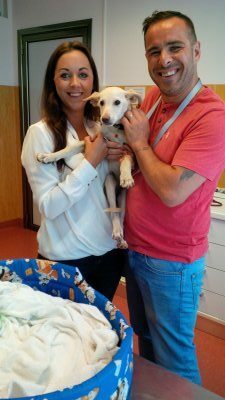 As they were scheduled to fly back to Dublin that night, the couple left the puppy behind, hoping to pick her up in Ireland before Christmas in 54 days – a tall order because 40 days is the minimum time for a rescue dog to go from the street to adoption, through all medical, socialization, behavioral, and paperwork processes. An animal clinic in Palermo was ready to receive Keith, Sherise and the puppy, but neither Filangeri nor Becchina were in Palermo, and the clinic staff didn’t speak English. So Becchina grabbed two of her dogs and her young niece Ambra, whom she’d been babysitting, and rushed off to Palermo. Keith and Sherise were so understanding of Becchina’s need to bring her niece, and so taken with Ambra, that they decided to name their new puppy Ambera after her. Keith and Sherise welcomed Ambera home at the Dublin airport on Dec. 21, 2016. In the end, the cost for them to adopt her was €1,360, including vet bills, a crate, a plane ticket and passport for Ambera, and foster care – but the reward is far greater. “She is worth every penny. We love her to bits,” says Sherise. 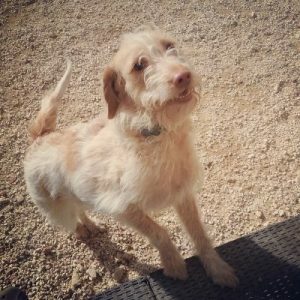 Becchina’s rescues have been adopted across Europe and the U.S. as well. Rico, a male Lagotto Romagnolo – a type of dog bred for truffle hunting – was adopted by Bill Collins of Northern California. Collins, a therapist who serves war veterans, learned to hunt truffles alongside Rico from a friend of Becchina’s. When adopting an animal overseas, it is both cheaper and safer for the animal to fly home with its adoptive owners rather than hiring a pet moving service. Becchina’s base adoption fee is €250, covering vaccinations, microchipping, sterilization, socialization, a pet passport, and other medical expenses. The total cost to adopt an animal to the U.S. including additional expenses, such as a universal airline-approved dog carrier and a plane ticket for the animal, is typically between $1,200 and $3,500. Becchina is heavily involved in all aspects of animal welfare in Castelvetrano. She and others fight relentlessly for animal rights and, when the city’s shelter reopened, pressured the staff to run it appropriately. She volunteers at the shelter regularly and assists in medical procedures such as sterilization there, and even served in local public office to understand the depth of the problems hindering progress in animal rights. Now she is launching a crowdfunding campaign to open a proper shelter so she can spend more time on advocacy and less time on fixing up her home for the animals. The shelter will provide boarding for pet owners on vacation, education on animal welfare, pet therapy, an agility space, and a sanctuary for old or disabled animals. Donations to Animalsicilia for food and supplies can be accepted through PayPal (www.paypal.me/give2gabriellasicily). Donations to the vet clinic must be wired directly to the clinic; email animalsicilia@gmail.com for instructions. She is also launching a new website for Animalsicilia, whose Facebook page is a resource for locals, expats who live in Italy, tourists interested in adopting a pet to bring home, and those who want to report an animal welfare issue to authorities. 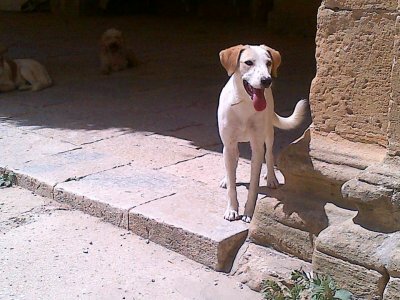 “Animalsicilia can harness the power of the expat community who sees animals suffering and wants to help. It’s a unique opportunity to make change,” she says. Sisters Vivien (left) and Marilyn (right) are 5-year-old terriers and are playful, sweet, and energetic. 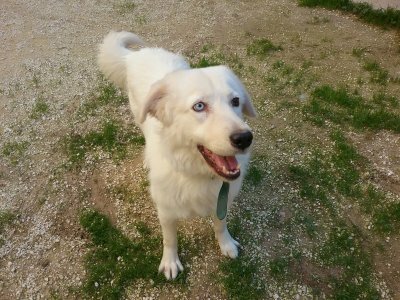 They are great with children and other dogs, and are obedient and social. Both would fit in perfectly with a family. Delia, a 4-year-old female Husky/Maremmano sheepdog mix, is wonderful with children and other dogs, and is well-adjusted and smart. She is deaf, but not disabled – she just needs better visual cues. 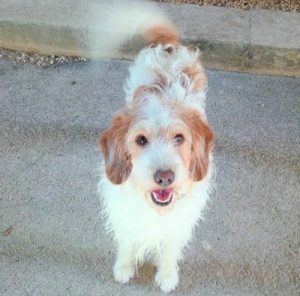 Chiara, a 4-year-old female, loves company and a lively home environment. She gets along well with quiet, respectful people and domesticated cats, but not other female dogs. 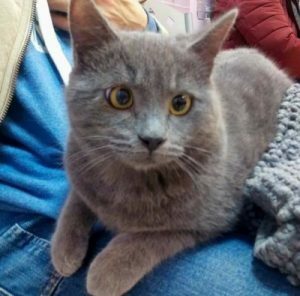 Grey, a 5-month-old male kitten, was rescued unhurt from the mouths of two dogs. He is loving and cuddly and ready for adoption, but still needs to be neutered and toilet trained. 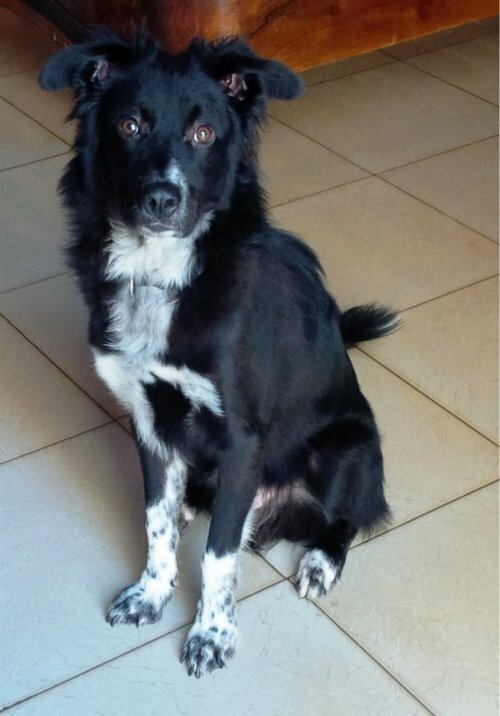 Darko, a 4-year-old male border collie, was found injured in 2014 by an American tourist, who turned him over to Animalsicilia and paid for his vet care. He is very smart and an excellent ball catcher and retriever. Elaine Murphy is the associate editor of Dream of Italy.